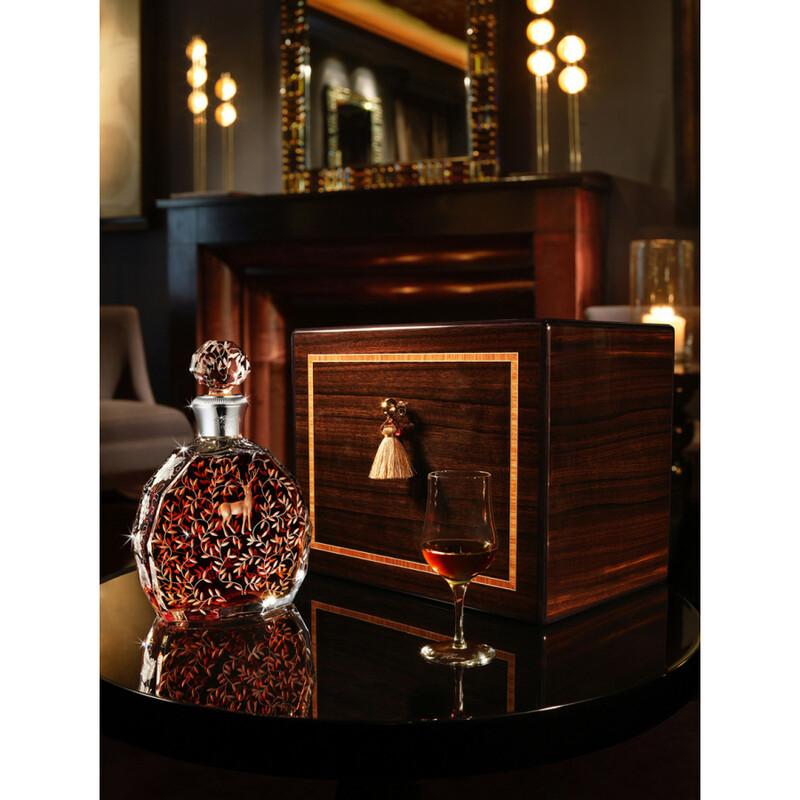 The Talent of Thomas Hine is not just a cognac. 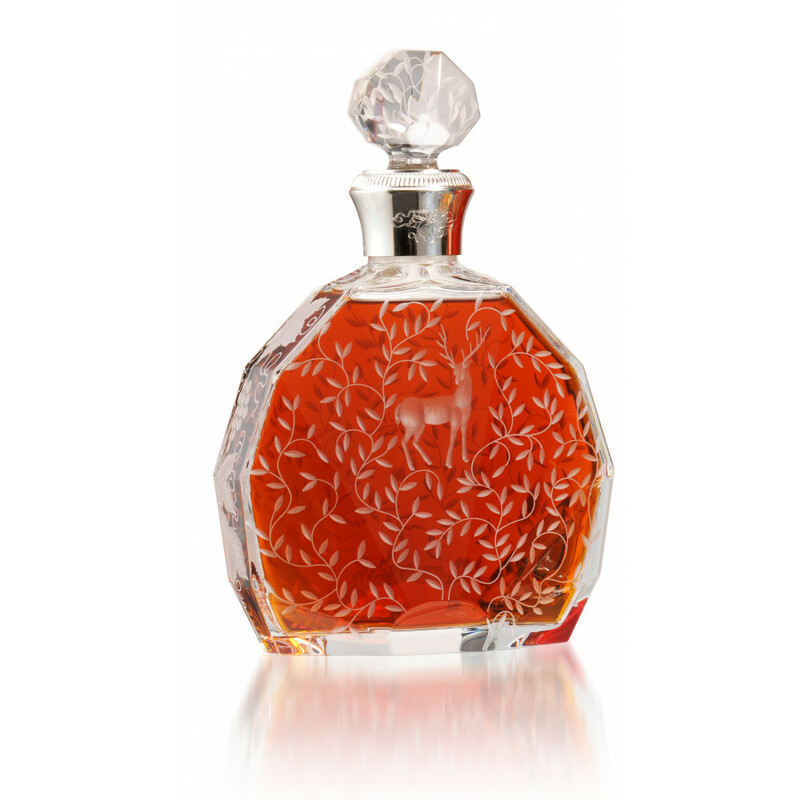 It's a whole experience: First of all we have a crystal decanter, designed by Baccarat, one of the world's best makers of crystal products. 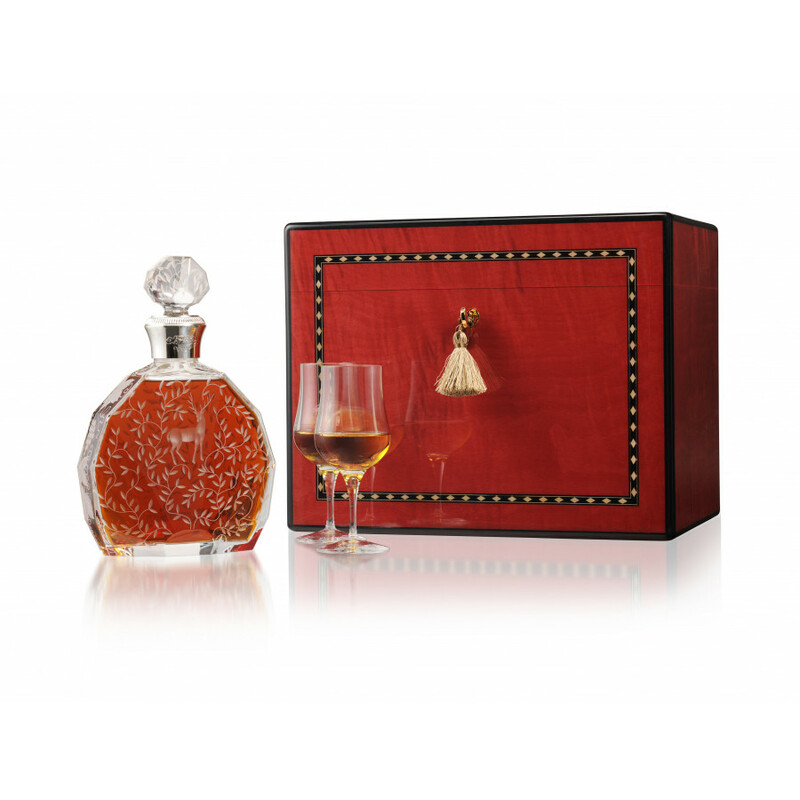 In this great bottle we find a blend of very rare Grande Champagne cognacs, and finally: The cognac is in the crystal decanter, the bottle in a box. But not any box, it's very rare wood from Maccasar ebony, imported from India. 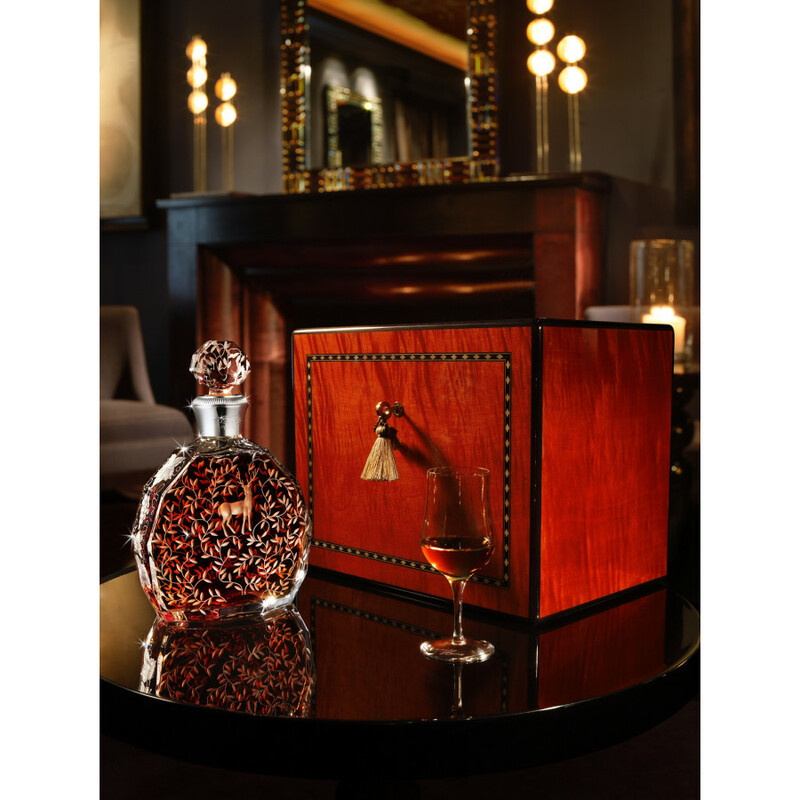 Each case is hand crafted... and of course it's also a cigar humidor at the same time. What a multi functional luxury product. What's more: You find four crystal tulip snifters (typcial cognac glasses), designed by Bernard Hine. I have a pair of French Baccarat crystal Thomas Hine &amp; Co. cognac decanters from the 60's for sale. In great shape, just sitting in ourliquor cabinet. Good story goes w/them ala Soprano's. Leafs, vines and deer etched on decanter.